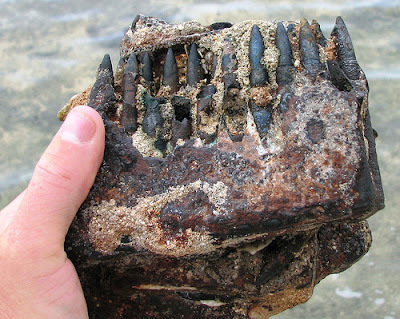 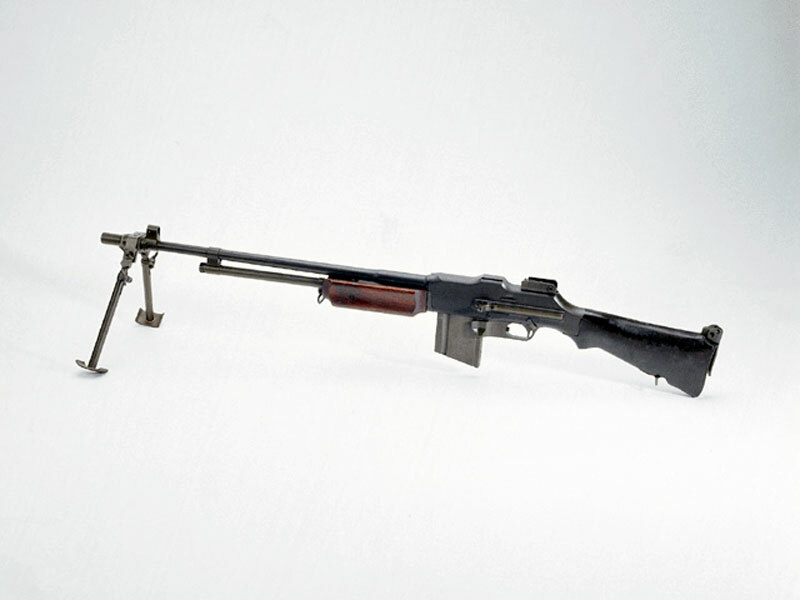 The BAR was designed to be carried by advancing infantrymen, slung over the shoulder or fired from the hip, a concept called "walking fire"—thought to be necessary for the individual soldier during trench warfare. 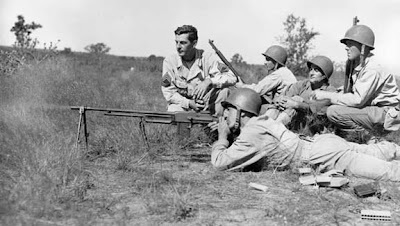 However in practice, it was most often used as a light machine gun and fired from a bipod (introduced in later models). 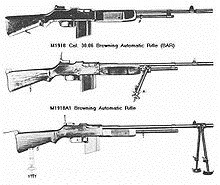 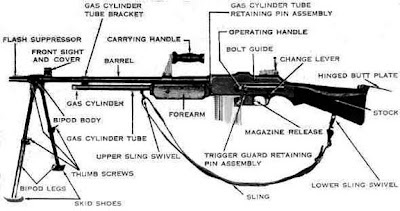 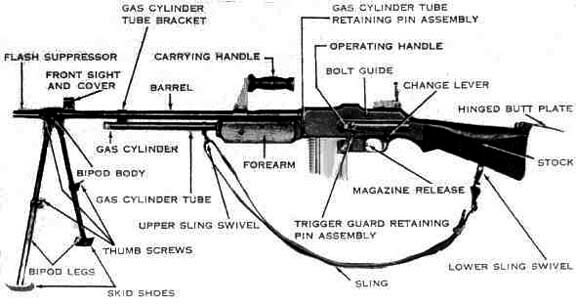 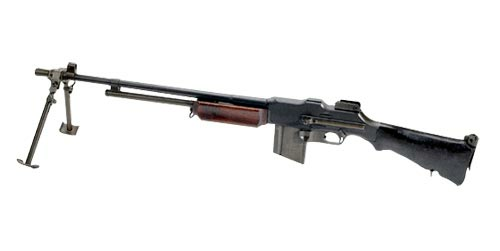 A variant of the original M1918 BAR, the Colt Monitor Machine Rifle, remains the lightest production automatic gun to fire the .30-06 Springfield cartridge, though the limited capacity of its standard 20-round magazine tended to hamper its utility in that role.